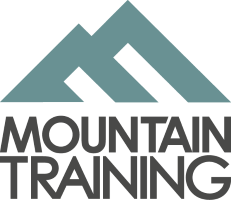 This qualification trains and assesses candidates in the skills required to supervise climbers on single pitch crags and climbing walls. Common activities undertaken by Rock Climbing Instructor will be roped climbing and bouldering. This scheme does not include the skills and techniques required to teach lead climbing. Day 1 will be in the Ingleton area of North Yorkshire, day 2 on a grit crag in the Ilkley/Otley area of West Yorkshire.